QOTW: Will you be buying an iPhone SE? There's a new iPhone in town, and with orders now open, Apple must be expecting a surge in sales for a device it describes as "the most powerful 4in phone ever." It's called the iPhone SE (which does stand for Special Edition, in case you were wondering), and it effectively takes the high-performance innards of the iPhone 6s and packages them in a familiar Apple form factor. A great combination? Perhaps. But with larger-screen devices becoming increasingly common, is a 4in smartphone as appealing as it once was? 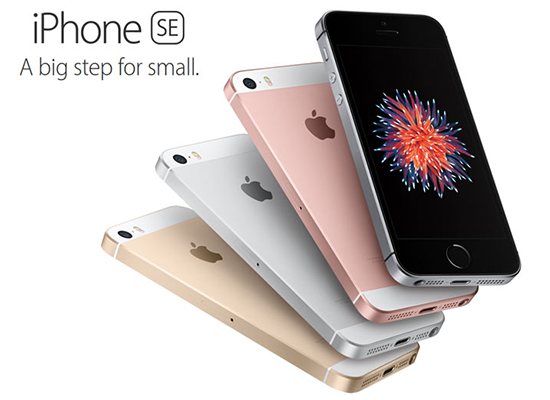 We, the consumers, will have the final say, so let us ask: will you be buying an iPhone SE? Share your reasoning, for or against, using the comments facility below. There is a new 7.9-Inch iPad mini too. Both pack the A12 bionic chip and support the Apple Pencil. It has organised a star studded event to launch its newest attempt at the streaming market. Festive season usually Apple's strongest quarter but it has cut revenue expectations. I'm actually thinking about it. My iPhone 5 is still working just fine for me, but the battery is showing its age for sure. I'll probably wait for some reviews to come out and for the early rush to subside, and then check with my carrier to see how much it would set me back. it will sell a lot for sure, but I don't feel like spending a lot of money to something so temporary like a phone. No, I like removable batteries. So my next phones probably going to be an LG. It's interesting. I gotta change mine and was thinking about a 6S, since it's killing the competition - was not a Apple fan before these. Now with the SE, well yeah, the only downside is that 4“ screen… but to put the very powerful stuff in it, it's kind of a gamechanger. I like the 4/5 design, it looks professional, the 6 have a more ”cool" side to it. So, well. The € price is less attractive than the $ one (electronic & high-tech inflation prices in EU), but that's quite a deal. Will check it out definitely.